There are so many things that I love about this time of year. Everyone (almost everyone) is a tad nicer, homes are adorned with beautiful lights and, best of all, Shoshana came home from college. My 18 year old daughter is one of the best cupcake bakers around. She does not have a large baking repertoire, but what she does, really ROCKS. When Shoshana and I got in the car the other day and I asked her what she felt like baking, her immediate response was, “Cupcakes!” What a treat for me. We decided that Chocolate Peppermint Cupcakes with Peppermint Buttercream would be perfect just before Christmas. 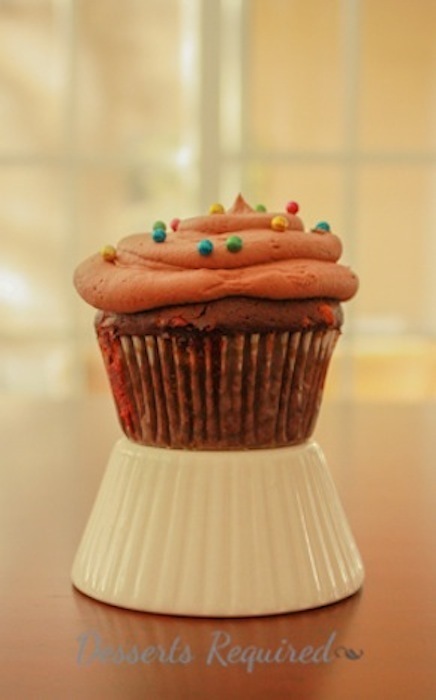 We ran into a hiccup along the way before finding the perfect chocolate cupcake recipe to use as a foundation. Fortunately, Marcel Desaulnier is the master when it comes to heavenly chocolate desserts. The cupcakes are rich and delicious with a gorgeous pop of red and white color coming from the peppermint baking chips. The chocolate peppermint buttercream is a fabulous blend of these two flavors and, fortunately, neither ingredient dominates. 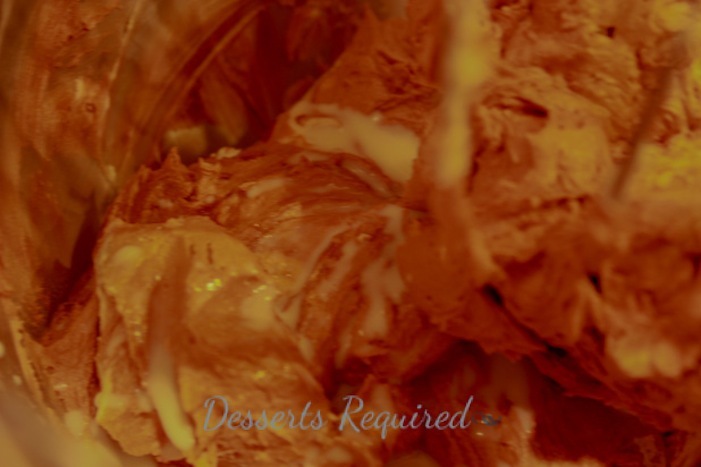 You may either decorate the buttercream with dragees or sprinkles or leave the buttercream plain. You won’t go wrong either way. I know I will enjoy the time with my baby girl over winter break, whether in the kitchen or not. However, selfishly, I really do hope we bake a lot together. She keeps me smiling! Preheat the oven to 325°. 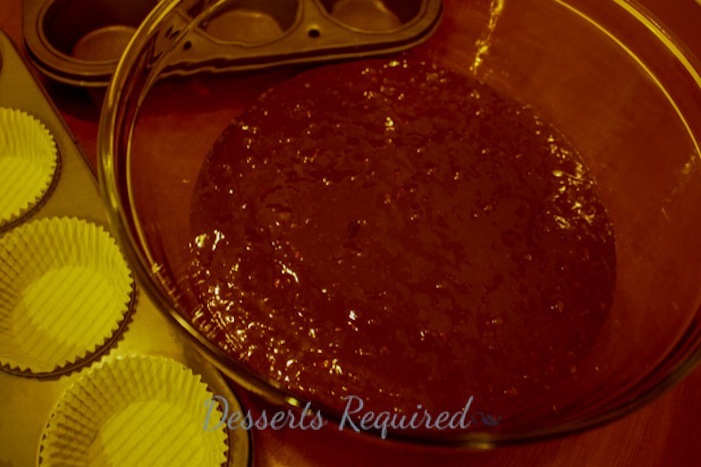 You will need two cupcake pans. Line with 18 paper liners and set aside. 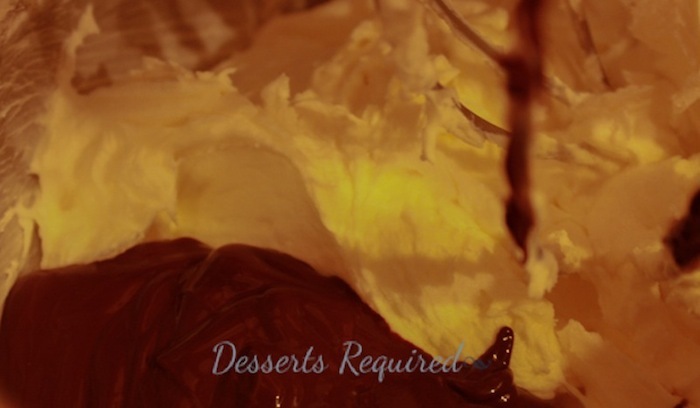 Melt the semisweet and unsweetened chocolate with the whipping cream and set aside to cool. 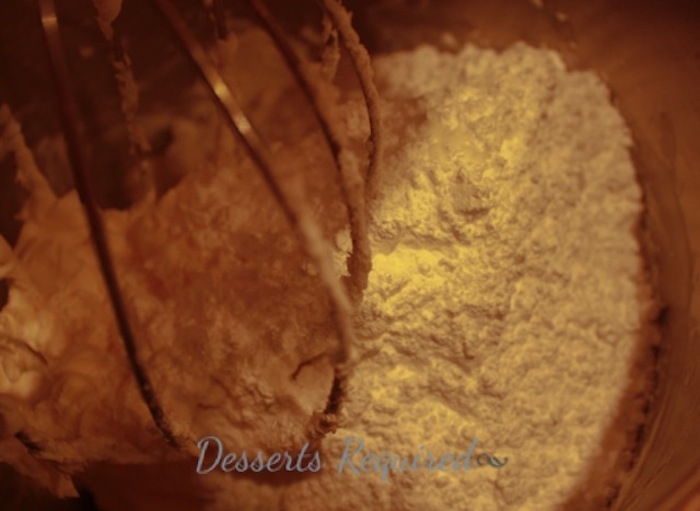 Stir together the cake flour, baking soda and peppermint candies. Set aside. 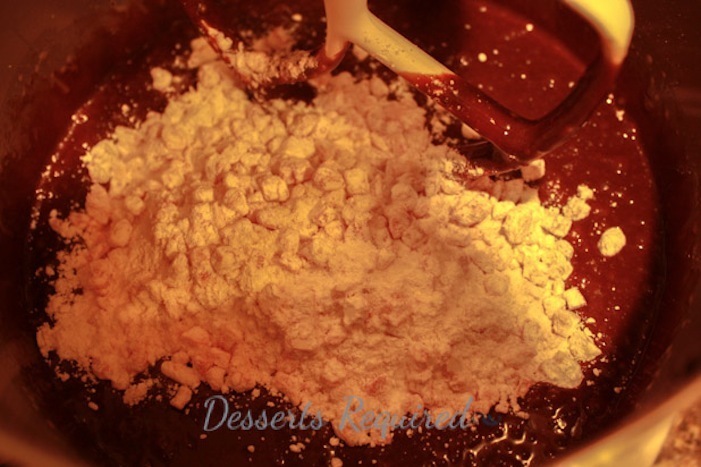 Place the eggs, sugar and vanilla in a large mixing bowl. Beat until light in color, about 3 minutes. Blend in the cooled chocolate mixture. Mix in the dry ingredients just until combined. Scoop into the lined pans, up to ¼“ from the top of the liner. Bake at 325° for 25-28 minutes, rotating the pans side to side and front to back halfway through. The cupcakes are done when a wooden toothpick inserted into a cupcake comes out clean. Beat the butter in a large mixing bowl with a wire whisk for 5 minutes, scraping down the bowl occasionally. Add the confectioners sugar, vanilla and peppermint oil and beat until smooth. Blend in the cooled melted chocolate. Lastly, mix in the milk. Cut a small corner off a freezer plastic bag and insert a pastry tip into the hole. Transfer the buttercream to the plastic bag and seal, removing the air before you seal the bag. 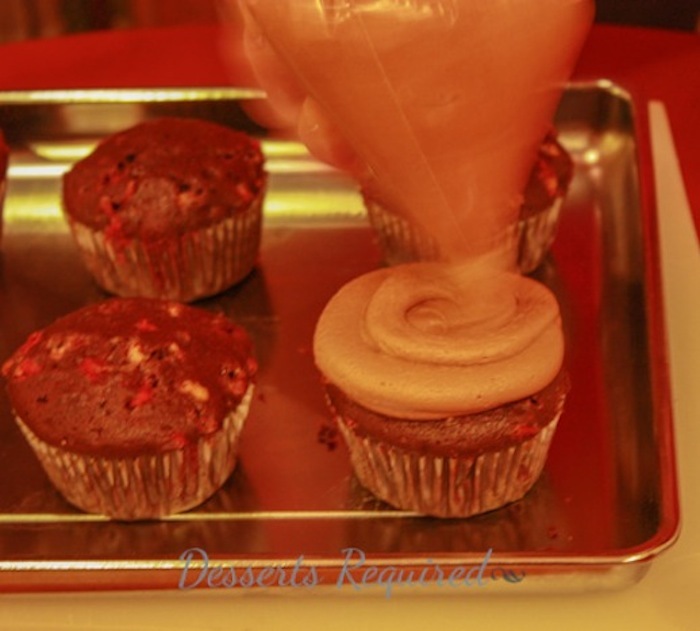 Pipe the buttercream over the cooled cupcakes and decorate with dragees or sprinkles, if desired. If melting the chocolate and cream in the microwave, watch carefully. You do not want the cream to boil. Dragees are tiny beadlike candies that are usually shiny and used for decorating cakes, cupcakes and/or cookies. The metallic ones are perfect for these Chocolate Peppermint Cupcakes. They do look wonderful. Where do you find Dragees and Peppermint Oil? And lastly, is it imperative that you use cupcake liners? Thank you. Dragees and peppermint oil can be found in specialty baking stores and sometimes at craft stores, such as Michaels. 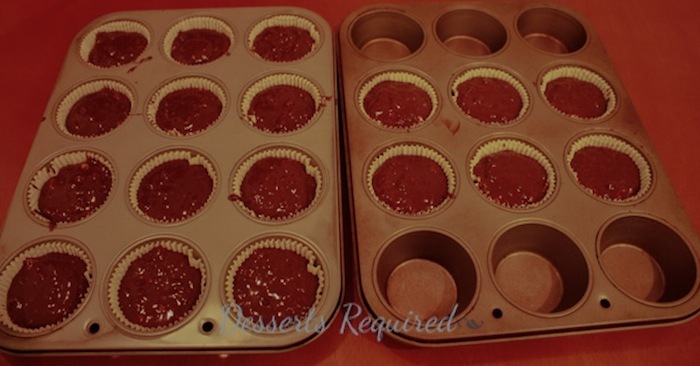 You do not have to use cupcake liners, but they sure do make it easier to get the cupcakes out of the pans. My youngest is home from college, too…but he’s not a baker 🙂 Your cupcakes sound amazing! I’ll be baking a lot more with an extra mouth to feed…and he would love these! 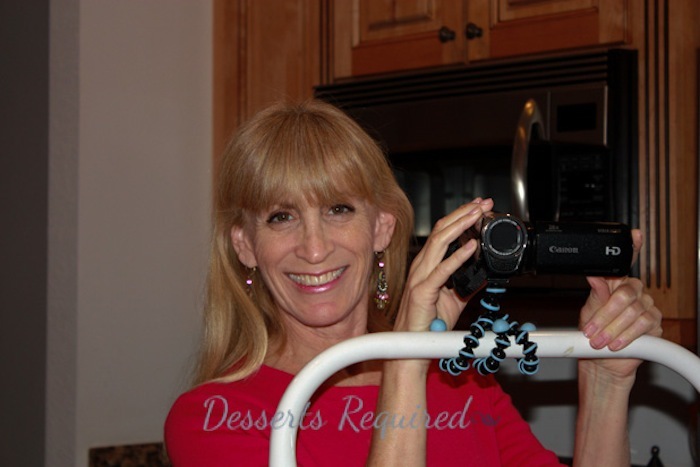 Perhaps getting in the kitchen with That Skinny Chick Can Bake will change his mind…especially when you are making yummy desserts! Thank you for your comment. 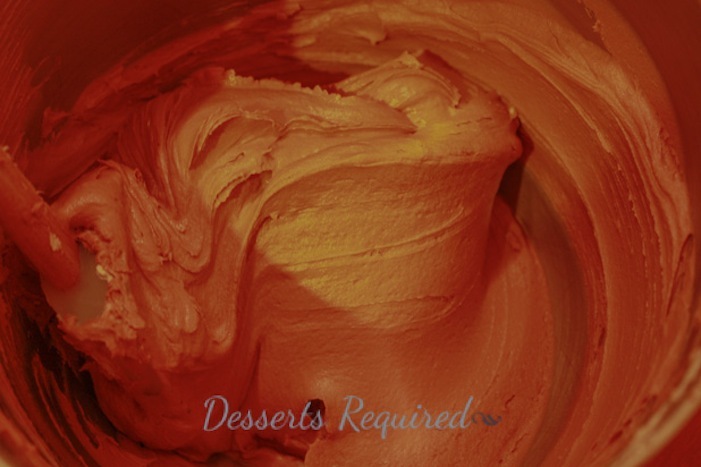 I have not tried this recipe with orange buttercream, but I think it is a great idea! 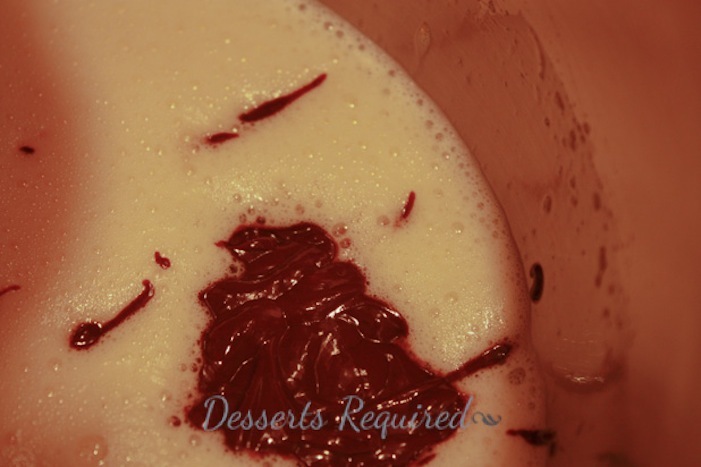 Obviously your daughter has inherited her mommy’s baking skill….Another keeper recipe from Desserts Required. Thank you! P.s. I know what you mean about people being nicer to each other during the holiday season…I love it, too. You have made my year!!!! Thank you, thank you, thank you! !